The single wall version of our flagship Insulated Screw Cap bottle, this Eco Vessel stainless steel water bottle is perfect for those looking for a lightweight but still durable drinking vessel, with the guaranteed quality you’ve come to expect from our bottles. It’s designed to fit most cup holders. The two-piece stainless steel top has wide-mouth opening for easy refilling and ice, and a comfortable and convenient drinking spout for easy sipping. As always, we design our bottles with quality, convenience and safety in mind–we use premium quality #304 grade stainless steel and ensure that all of our products our BPA and phthalate free. Accept no substitutes for an original Eco Vessel stainless steel bottle. 100% recyclable. 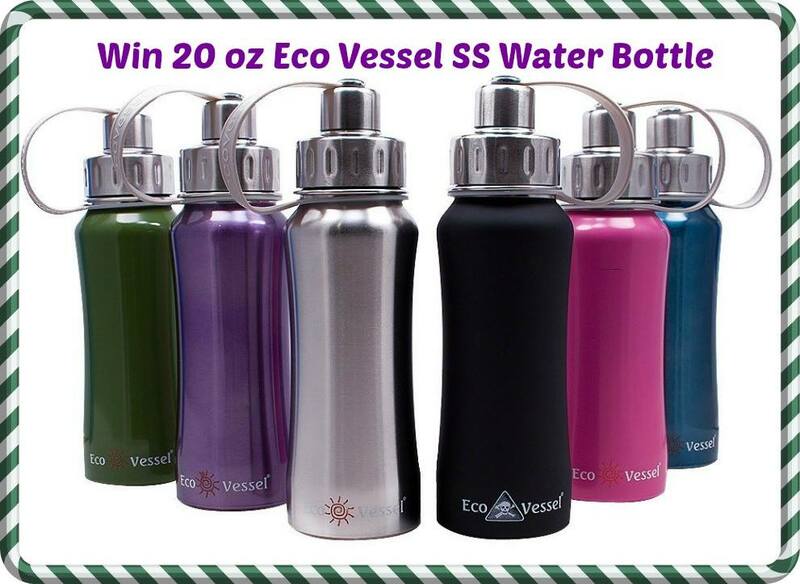 One lucky winner will get an Eco Vessel of their choice- as long as it is in stock. Disclosure: Mom Does Reviews is responsible for prize fulfillment. Enter this Eco-Friendly Giveaway and Register for the #FallWellness Twitter chat and Monday night! All the colors are gorgeous but I’d definitely do purple or blue. I would choose pink for my daughter. Hard to chose I like them all but probably black. I like the classic black. I’d pick the black one. I like the blue Eco Vessel Water Bottle. Absolutely – the pink one! I would be happy with any color but the teal is nice! I would choose that beautiful metallic blue! I would choose the green one. The purple one because my daughter loves purple! I guess I am a little boring, I would choose the black. I like the green one. I think it’s a shade that both the men and women in my house can agree on.